Irvine, California is one of the most upcoming cities in the continental United States, contributing heavily to the technology industry as host to some of the biggest tech company’s headquarters and a town containing some of the country’s most affluent and prestigious higher education institutions. Gerry Goodman, the best real estate agent in Irvine CA knows the area and Irvine homes for sale. By getting to know each client, and each client’s needs, wishlists, and most importantly budget, he is guaranteed to find those looking to settle in Irvine their most perfect slice of Irvine CA Real Estate. Irvine, California is a special place. It was recently ranked #2 in the safest cities in the United States, mostly due to its real estate structure that has been built around safety. Developments in the city were created with safety and security in mind and planned communities that were safe behind gates. 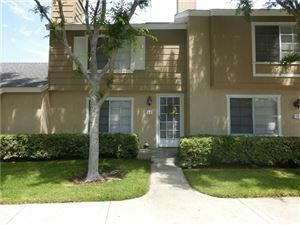 Families who live in Irvine get to enjoy this peace of mind knowing that the city was planned with their safety in mind. Irvine real estate listing all show security as important features. Since Irvine is host to some of the biggest industrial headquarters in the United States, it provides a variety of homes for sale to meet the budget of any level of employee, with a life guaranteed to be comfortable for families with real estate options to suit all family’s needs. As an education center, the best real estate agent in Irvine CA also caters to all budgets and involvements in education with options available for students, to higher education administration to professors and researchers. Gerry Goodman and his team of experienced real estate representatives in Irvine, California have helped some of the nation’s most successful academics and superstars in the industry find their ideal home. Since Irvine has enjoyed a stable housing economy over the decades, especially over the nation’s most financially vulnerable times, both buyers and sellers of Irvine homes benefit by finding a best real estate agent in Irvine with payments that fit their budget. Contact the offices of Gerry Goodman Real Estate Services today to discuss your wants and needs for your home. Gerry Goodman and his professional team will talk to you about what you are looking for in a home, learn about how you and your family live your daily lives, and understand your budget. They will work to find you as many things as they possibly can on your wish list while guaranteeing that you most essential housing needs are met. Become a part of the growing population in Irvine, California by finding your perfect piece of the best real estate agent in Irvine with the most trusted and experienced real estate team in California.